RICHMOND, Calif. (KGO) -- Police have identified the woman who jumped or fell off the Bay Bridge and then swam away. 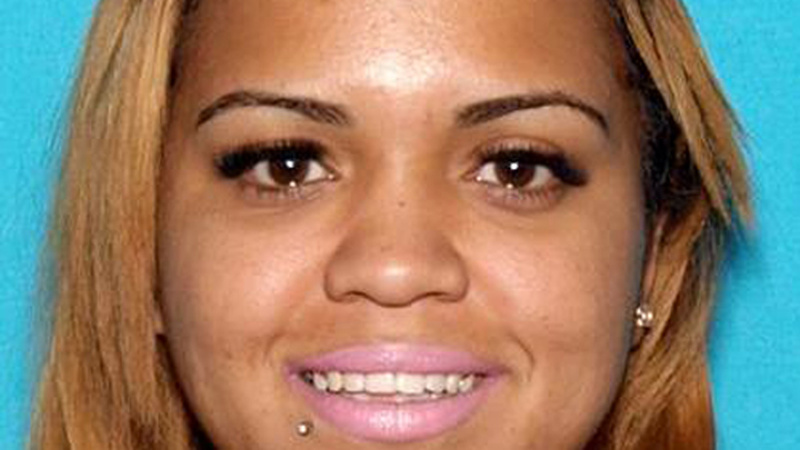 Erlynn Sanchez-Edwards of Richmond is still on the run. Police say she was driving a stolen car when she hit a guard rail early Wednesday morning. They say she slipped off the side of the bridge when officers approached. A truck driver reported picking up a soaking wet woman near the toll plaza, and then dropped her off in the East Bay. Could you survive a jump from the Bay Bridge? The CHP is looking for a woman who jumped/fell after a crashing a stolen car! Did you see a woman walking soaking wet along the shore by the Bay Bridge? CHP says she jumped or fell 75 ft into the bay after a car crash.